Anti-marriage equality groups took to the steps of the Minnesota Capitol to protest the Marriage Equality Bill being heard in the Senate. 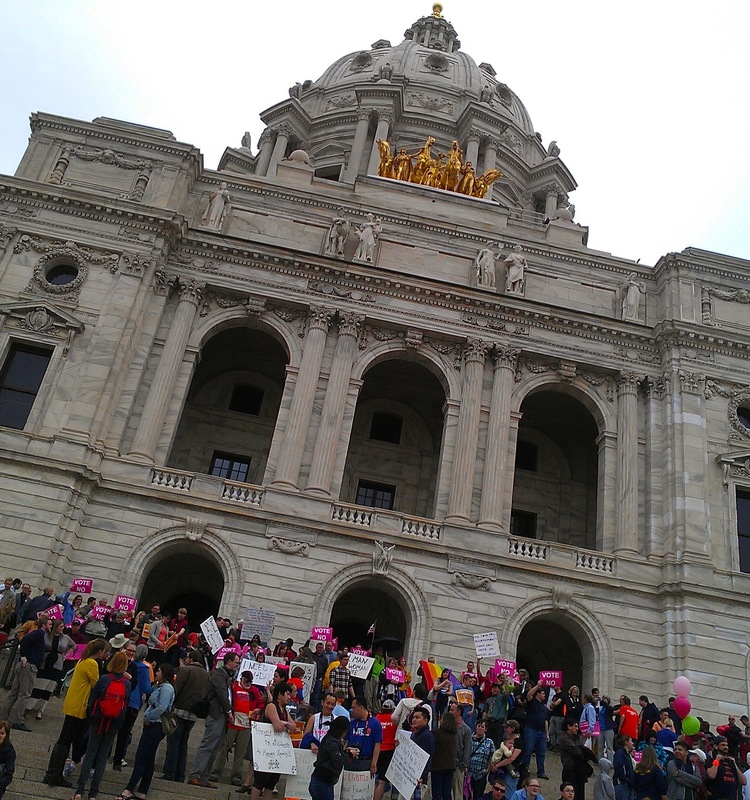 Amidst overflowing crowds singing, drumming and chanting in and around the capitol, yesterday the Minnesota voted to extend equal rights of marriage to all people, regardless of gender. Minnesota now becomes the 12th state in the nation to support Marriage Equality. The bill was co-sponsored by Sen. D. Scott Dibble (D-61), who is gay and was legally married to his partner in California when that state allowed it. Both sides of the issue were represented in the crowd, but the majority were overwhelmingly for marriage equality. A small group of “One Man + One Woman = Marriage” supporters assembled on the steps, but the rest of the masses appeared to be pro-equality. TVs were set up throughout the building for the overflow. 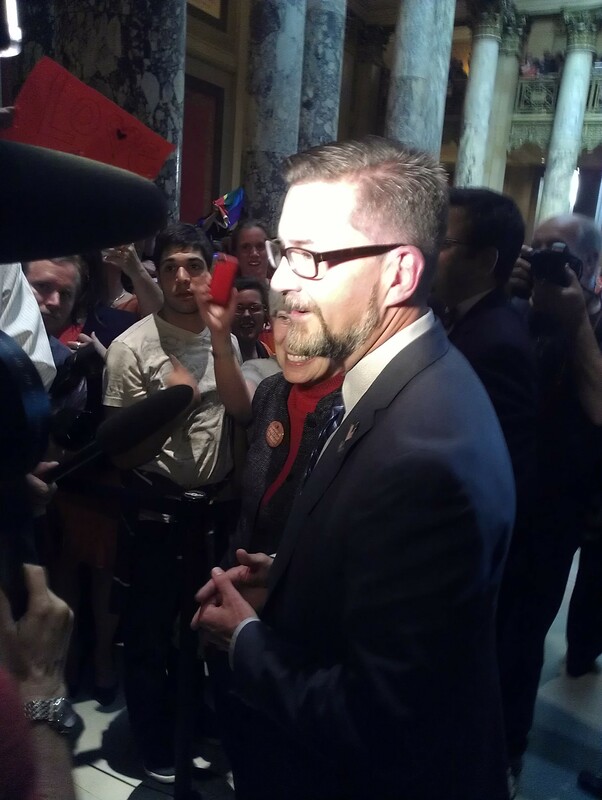 Sen. Scott Dibble, co-sponsor of the bill, outside the Senate chambers shortly after passage. In the gallery, spectators were required to have tickets. While they remained quiet throughout the proceedings, the chanting crowds in the rotunda could easily be heard on the floor of the Senate during the debate. Passage was anticipated and in the end, the majority sided 37-30 to pass the bill. Governor Dayton is scheduled to sign the bill later today on the Capitol lawn.